How to you know what are the Best Password Managers for iOS? Internet becomes an important part of people’s life. Users have dozens of online accounts that all require a password to secure their personal data. To keep your account safe, you need complex, unique passwords that are hard to crack. However, it’s not easy to create unique and complicated as well as remember all of them. Does that mean you have to give up security? No. A password manager can assist you to create powerful passwords and store them safely for you. Does password manager work on Apple products? Yes, Apple supports various flavors of password managers through APIs. Want a password manager for your IPhone/iPad? 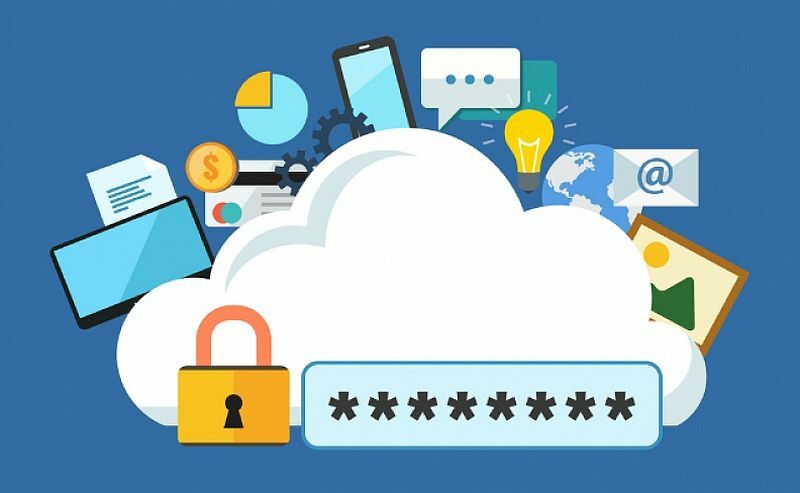 Keep reading this article to learn the best password managers for iOS devices 2019. Password manager is a digital vault where you can keep all of your important information, like logins, credit card numbers, PINs, and more. It helps you create, update and remember strong passwords. You only need to remember one master password to your entire logins. Once a master password is created, you add the login information for all your accounts into the database. You can even create a secure note with secret stuff. It also assists you to fill form with the stored information. The database is encrypted and hackers will not able to able to crack them. Have no idea to create a strong password? Always forget passwords? Can’t remember credit card number and have to carry them everywhere? Are afraid of being hacked when sharing passwords with your partners? A password manager will help you fix all of the problems. Create an account with master password and the password manager will take care of the rest. Is it Worth to Invest a Password Manager? Some of you may wonder if it is necessary to purchase a password manager for your iPhone/iPad. Internet users need to create various accounts to access the Internet source and generate passwords to secure their account. Some of you may use simple passwords which contain your name, birth day, phone number or email etc. This kind of passwords is easy to keep in mind while they also are easy to crack. Some of you may use complicated password while you use it for accounts. No matter how complicated your password is, there is still a big risk. Once the hackers crack one of your accounts, the rest will be compromised. Your email, social media accounts, credit card detail, PayPal and other accounts will be taken over. That is terrible. How to fix the problem? Use unique and strong password for every account. However, it is difficult to create and remember complicated passwords for so many accounts. You need a helpful tool to help you get this job done. This tool should manage the account details for any app or service you use online. Yes, it is the password manager. With mobile Web browsing rates on the rise, it is very important to have a password manager on your mobile device. If you need to create an account, it offers to generate password as well as username. If you need to change password, it replaces the old one with a new strong one with a click. If you need to keep frequently used data in one place, it lets you add personal data in a vault so that you can access them anywhere. It supports for secure notes with attachments, personal information such as social security numbers, app license information, credit card information, passport information, and more. As web form filler, password manager lets you save time in typing every detail when signing up a service. It is not simply a password manager. Give Dashlane a try and you will know it is worth the investment. 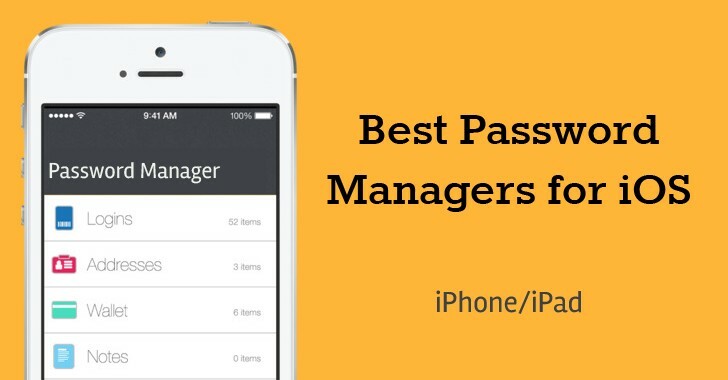 How to Select the Best Password Managers for iOS Devices? Are your eyes dazzled by various password managers in the market? Get confused when comparing different products? What are the best password managers for iOS devices? Firstly, the software is supposed to feel like the most native app to the Apple ecosystem. It should have intuitive user interface so that users can operate it easily. You can expect a product in small size with full features. Secondly, pick the product with fair pricing. The free one may not include functions you need. When selecting among the premium services, you should pick the one suit you. If a cheap product offers all features you need, just pick it. Though an expensive product offers more features, it’s not necessary to pay for the extra features you don’t need. Using a strong password is critical to the security of your online accounts. Have problem in remembering complicated passwords? A password manager enables you to store many passwords behind a single password to simplify your life and keep your accounts safe. It generates random, complex passwords for your accounts. The manager will allow you to choose from various parameters, such as whether to include uppercase or lowercase, special characters, and the overall length of the passcode. The passwords they create will be far more secure than the current combination of birthdays, pets and children’s names that you might be using. What’s more, you will never have to memorize them. The master password will let you unblock your entire passwords. You may want to replace the password for each account with a stronger one. The password changer comes to help. After you import passwords, the manager will recommend changing if your password hasn’t been modified in a while or if you use the same password for multiple accounts. It checks your existing passwords and marks the weak ones. You don’t have to strain your brain to update the passwords. With few clicks, the password manager replaces all the weak passwords for you. Dashlane allows you to change the password of multiple accounts simultaneously. In this Internet age, we can share files online conveniently. However, that gives hackers and snooper a chance to intercept your session if your connection is not secured. 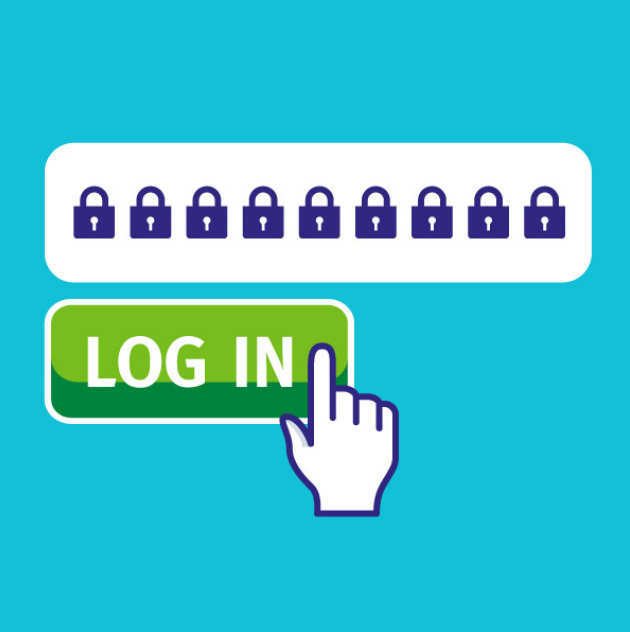 When you share your logins with your colleagues, hackers can grab the information and gain access to your confidential database. That will cause big loss. Password manager allows users to share passwords in encrypted format so that criminals can’t decode it. You can extend access to passwords to others without revealing the content. Some managers require that the users receiving access already have an account with the service. To cooperate conveniently, you can invite your friend to use the same password manager. Most password managers have emergency contact. In the case of the user’s death or incapacitation, loved ones can be assigned access to the database. This feature allows users to add a list of trusted friends and family members who can access their vault in the case they are unable to do so. You can set the time period that they can get complete access to your account. You will get request when emergency contact try to log in your account. This will save friends and family from having to contact each account provider separately and presenting large amount of documentation to prove their authorization. Your database with password manager is typically encrypted with a master password to prevent unauthorized access. Of course, the master password is not enough to guarantee your database is completely safe. Advanced password managers support multi-factor authentication. That means they can use multiple methods to identify you. The most common method is using a third-party authenticator, which is an extra app you install that receives a one-time password that you provide in addition to your password to prove your identity. Some examples include Google Authenticator, Microsoft Authenticator, and Authy. Some advanced products put the one-time used passcode on your clipboard after it auto fills, so you don’t have to spend time copying and pasting into websites. Other popular method is Touch ID. You are allowed to use the fingerprint scanner to log into the vault. Face ID is another alternate way. It lets you use your Apple’s facial scanner to unblock your vault. In addition, you are able to access your database with hardware authentication. U2F is a set of hardware keys which need to be in your physical possession if you want to log into your database. Because the hardware keys can’t be stolen remotely, most users feel this method provides the highest level of protection. With so many layers of protection, you can rest assure. Do you shop online frequently? Have to join many forms for work or study? You need to fill a long form when conducting those activities. Is there a way to fill the form with one click? Yes, password manager makes it possible. It lets you create encrypted vault to store personal data. Simply add your email, phone numbers, postal code, shipping address, passport number, credit card numbers, debit card numbers and other information. When you click on blank to fill form, it asks if you need help to auto fill it. Some products auto fill once you are on the page to finish a form. Password managers only auto fill form on secure websites and it will not match your information on phishing websites. You also are able to create templates that can be used when filling out information for such things as hotel reservations, creating new accounts, and more. Besides, some password managers have the ability to autofill user names and passwords into your iPhone apps. They utilize Share Sheets to achieve this functionality and some apps may not be compatible with this feature. Make sure that the web form filler is supported by your browser like Safari and Chrome. Do you concern that your precious information is at risk after you add them in password manager vault? There is no need to concern. Everything is securely stored with end to end encryption. As of today, the highest standard available is AES-256 encryption. Encryption protects the database by making it virtually unreadable to unauthorized users. In case a service you use has suffered a breach, it sends you instant security alert so that you can quickly change the respective password. Feel safe to let password. We installed and tested all of the famous products and have concluded that these four managers are the best available. Using any of these password managers on your iPhone or iPad will dramatically improve the privacy and security of your online accounts. 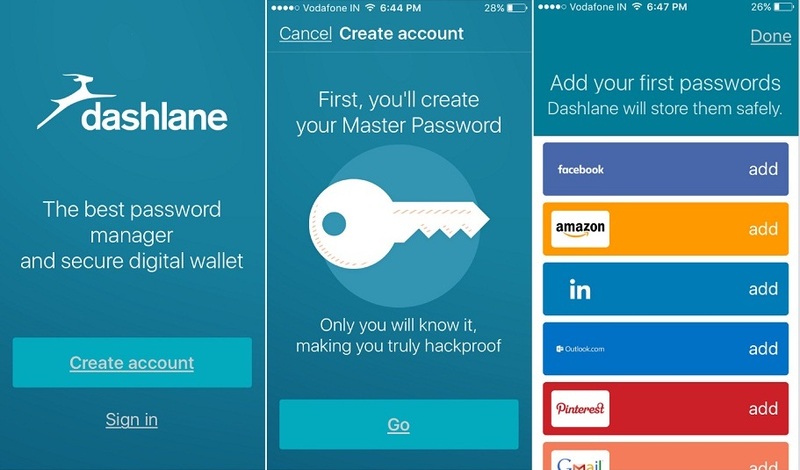 Dashlane is one of the most popular password managers which make your life simpler and faster by letting you forget about security. All the standard functions are present. It has a password management area where you can replace existing ones with far more complex alternatives, auto-login to sites, secure storage for passport and other official documentation details, Touch ID, Face ID and Apple Watch support, plus a digital wallet for making online or in-app purchases. 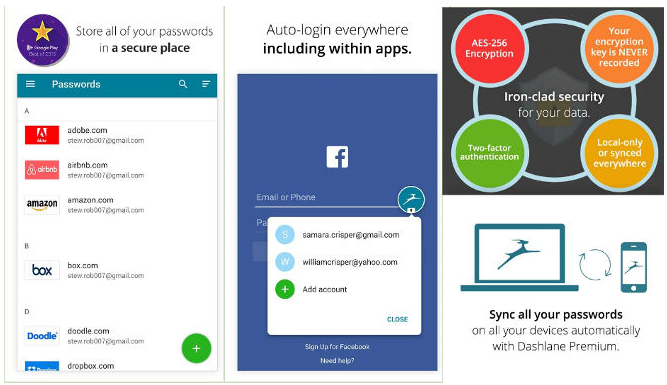 All data and communication is encrypted with AES-256 and the app auto-locks after inactivity. It comes with a password generator, and if the service detects a security breach, it will alert you about it. User Interface of Dashlane is very clean and the software is very easy use. It offers attractive pricing and is very competitive in the market. It works on a number of websites. They offer a free plan that works on a single device. It unlocks syncing to all your devices, such as iOS, macOS, Windows, ChromeOS, etc. 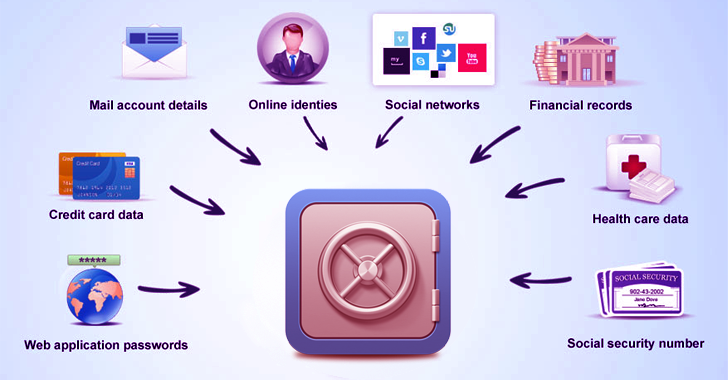 RoboForm is a very traditional password manager, being one of the best password managers out there. It generates passwords, saves them, encrypts with AES256 bit encryption, and syncs across multiple devices. It does what it’s supposed to do pretty well and includes bookmarks so you can find your most used passwords quickly. The app can also learn new passwords as you create them and login which is pretty nifty. It also has support for multi-step logins which fairly convenient. It works with Chrome and Firefox out of the box with an additional add-on for Dolphin Browser. 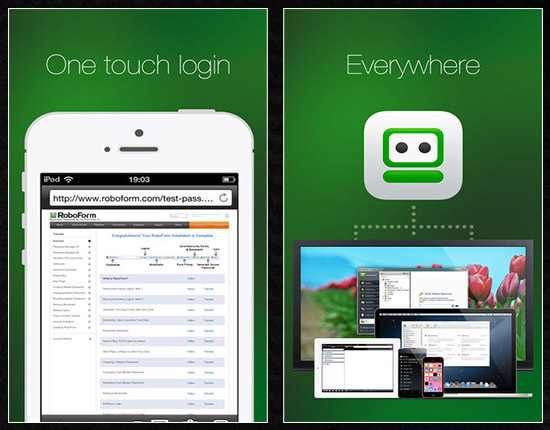 Roboform is available for Windows, Mac, iOS and Android, and is a good option for anybody who wants a simple and secure way to sync passwords between laptop, desktop and mobile platforms. 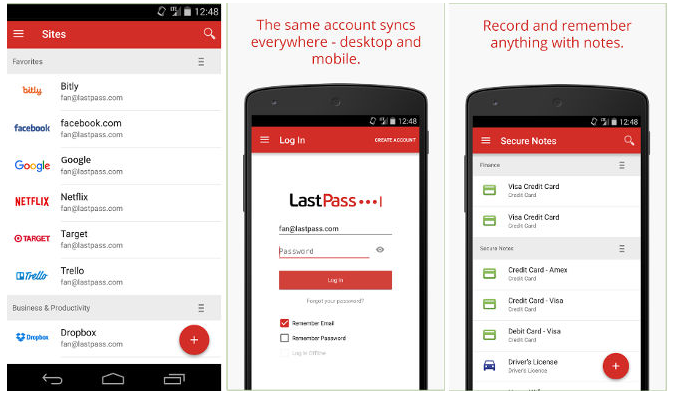 LastPass specializes in automatically organizing your entries for you. It has three main categories: websites, form fills, and secure notes, which are used for such things as driver’s license numbers and credit card information. Select a category, then pick a template, and you will be able to fill in all of the necessary information for a specific account. 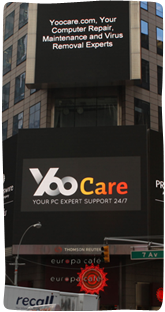 They not only provide extensions for Firefox, Chrome, Safari, and Internet Explorer, but they provide desktop apps on Windows, Mac, and Linux as well as mobile apps on Android, iOS, Blackberry, and Windows Phone. How do you keep all your logins and credit cards safe on iOS without forgetting them all? Grab a password manager. Password manager simplifies your digital life greatly. Rather than having to remember increasingly complex login details for a myriad of apps and sites, simply remember one password which enables the creation of long secure passwords for all your online accounts. It offers help to upgrade your existing passwords if they are weak or reused. Only you have the master password to access the password vault. The password manager encrypts your database and makes it untouchable. It acts as prime weapons against hackers trying to access your accounts. The software also allows you to store other private information, like banking or credit card details. No longer do you need to worry about remembering all of your passwords because the manager stores this information and even be able to autofill them when needed. Users need only to create an account with a master password. For iOS users, Dashlane is the best option. It provides all the features you’ve come to expect from a password manager. You can store your confidential information locally and make sure that they won’t leave your network. Get a password manager to help you save time and energy in managing passwords and other important data. Dashlane is the most popular password manager with high ratings. Try it for free now!